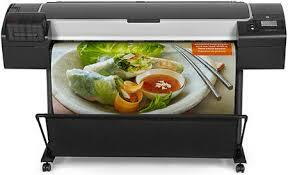 We use the industry’s most advanced ink jet printers. The Epson Pro is the perfect device for replicating your art on Canvas, water color medias, acid free bonds, Gloss – Matte – or Satin photo grades. HP has long been the standard for architectural output, high quality maps and posters and color renderings of all types.